In December 2016, the Federal Reserve announced a rate hike. It is the second in a year after the previous hike took place at the end of 2015. It was a decision that financial analysts had expected due to improving employment numbers in the country and an economy that was strengthening. This upward trend was enough to make the Fed implement a raise of a quarter of a percentage point. It is not a major increase. However, it may still be significant enough to have an impact on your loans and credit cards. That is in addition to the cost of many things that might have been cheaper to purchase before the rate shift. As rates start to go up that might spur consumers to think about refinancing. The Fed can have a big influence on these decisions. Therefore, it is very important to know why they raise and lower the rates, and when it makes sense to pursue refinancing. Who is “The Fed” Anyway? The Federal Reserve is the central bank of the United States of America. It was established back in 1913. This institution is supervised by Congress for the purpose of protecting the country’s financial system. It regulates the nation’s banks. The Fed provides financial services support both here and abroad. It makes policy regarding monetary functions by influencing money and credit positions, in order to keep the economy strong. That last part is why the rate has increased and decreased. When the Fed sets the rate at a certain level, it is done to help further our country’s economic growth. If the economy is doing poorly, the rate will be lowered. That is done to stimulate that growth and keep the country from remaining in a recession. If the economy is doing particularly well, the rate will increase. Doing so keeps prices stable and beats back inflation. As a result, when the Fed raises or lowers the rate, it will affect everything from mortgages to credit cards to loans. When the rate goes up, that means interest rates may rise. That might be a positive indicator for the health of the nation’s economy. Yet, it can have a specific effect on homeowners’ wallets. As the rates increase, refinancing moves in the opposite direction. The Federal Open Market Committee is the 12-member entity tasked with setting fiscal policy. It has an eye toward safeguarding consumers as the economy shrinks and grows. This committee within the Fed has the power to move rates on mortgages and loans. It does not actually establish the interest rates that you pay on those and other financial products. Instead, it sets something called the Federal Funds Rate. That is the defining bellwether by which the banks abide in setting the rates that they charge each other for lending money. This is essentially the cost of money applied by the banks. It has a direct effect on the price of any financial products that these institutions offer to consumers. Nevertheless, when the Fed raises the rate, it is merely a barometer. It influences the banks to set their rates at a certain number on, or near a particular target rate that the Fed has decided upon. That may sound overly complicated. Yet, it is actually rather simple in its design. What it means for you as a consumer could be slightly more complex. That is because rising mortgage rates are not the best news for the home refinance market. That does not mean you should abandon a re-fi altogether. It merely indicates that you are going to want to strategize a little more carefully when rates go up. Deciding when to refinance can be a little tricky. However, there is one hard and fast rule that you should always abide. It is that you never want to wait too long to pull the trigger. As rates trend upward, it is a good chance that they are only going to climb higher. How much higher is always a crap-shoot. That is due to the fact that it could represent a slight raise or something a little more substantial. The best advice is to always try and get in early before they go up further. The reason is that a higher rate hike will make it less advantageous to refinance. That is because the new rate you would get might not be all that much better than the one you currently have. Considering the time and effort (and money) you would spend on going through the whole process, it may not be worth it at the end of the day. It is important to consider another thing before you start down the road of refinancing. That is because you may run the risk of losing some of the attractive benefits that come with your current loan arrangement. This is particularly critical when it comes to the refinancing of student loans. You could be forfeiting your ability to enjoy the advantages of relaxed repayment structures. That is in addition to losing loan forgiveness programs where you may ultimately pay considerably less in reimbursements. It depends on the strength of your financial situation now or in the future. The bottom line is simply that you need to really sit down and think it all through fully before you embark down the road to refinancing. However, do not hesitate for too long. The decision can be made just a bit easier. There are a few reasons behind pursuing a refinance. If any of these pertain to making your unique financial situation more manageable, then you may just be in the market to apply. Rates are typically the number one reason why most consumers decide to refinance. Doing it before they increase can be of the utmost benefit to you. 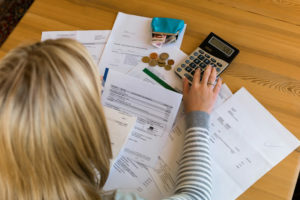 In most cases, if you are able to affect a difference of two percent in your rate, it can be a perfect opportunity to keep more of your money in your pocket. Shortening the term of your loan is another great reason to refinance, especially when the rates begin to increase. Converting from an adjustable rate to a fixed, or vice-versa depends on your financial situation. It might prove beneficial to helping you save some money as well. Of course, most reasons behind a refinance are simply to reign in debt. We all want to pay less for the things we want and need. When rates start to go up, it could mean higher costs for those things. It may also mean more debt that gets piled up. That is on top of old debt already hanging around your neck like an albatross. You can use refinancing to whittle away some of those burdensome financial obligations in a number of ways. You do not want to end up paying more than necessary. Thus, when an increase is set to take effect or even the smallest hint that the Fed is planning on announcing a rate hike, that might be your cue. They have already gone on record saying there could be as many as four more hikes in 2017. We have five tips that might prove quite helpful in urging you to pursue refinancing. The why and how of it all might be pretty self-explanatory at first glance. Here are some of the ways you should approach refinancing at a time when rates are starting to rise. One of the smarter moves you can make when it comes to refinancing is to move into a short-term loan. 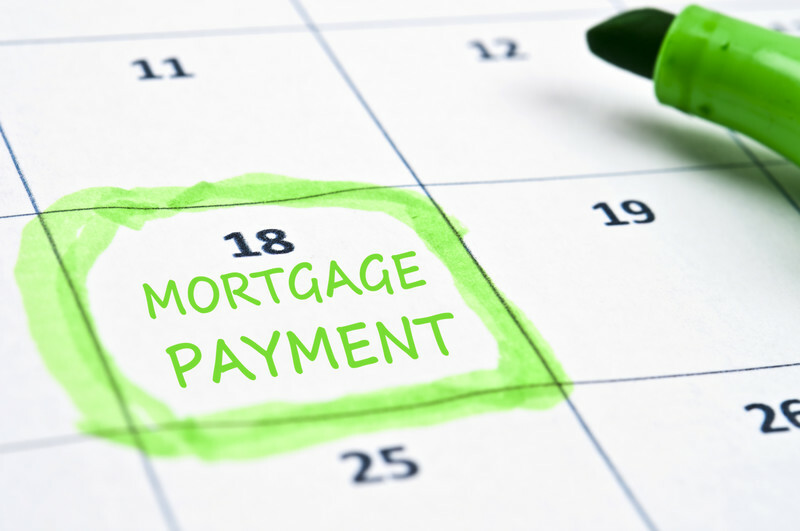 You could benefit from this scenario if you are in a position to pay a little more on your mortgage payment or another type of loan. With respect to mortgages, in particular, moving from a 30-year term to a much shorter length of 15 years you would pay it off much faster. That would greatly reduce how much you would be spending on interest during the course of the loan term. We are talking thousands in savings just by switching. Going with a 15-year mortgage over a 30-year term offers rates at a difference of roughly 80 basis points. Therefore, even as rates are on the rise, you may have some wiggle room to get a lower rate on a re-fi by dropping the length of the term to a shorter loan. You will be saving with the lower interest rate. Though, you will not be paying all of the additional interest you would be on the hook for in the longer term. The first option is a great way to save yourself a ton of money on interest by potentially raising your monthly payments. Refinancing is also a great way to bring down that monthly payment. We all need a little help sometimes. Mortgage and loan terms can be rather lengthy. That depends on the type of financial product that you are paying off. Your financial situation could change at any time. This, in turn, puts you in a better position to take on a higher payment each month. It would reduce the amount you ultimately pay. Conversely, you may find yourself in dire straits that have led to you struggling to meet your payments on time. 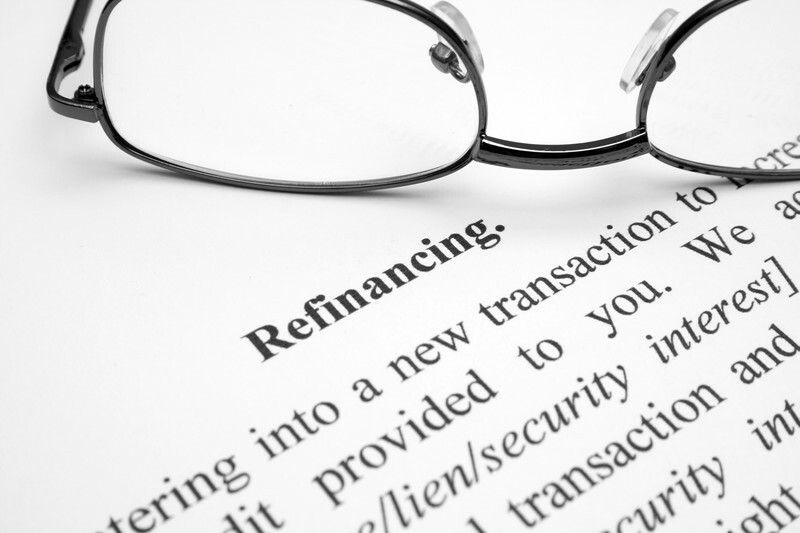 Refinancing can be a useful method for making that monthly payment more manageable. Anyone finding it harder to meet that obligation should explore the option. That is especially accurate when rates start to rise. It is true this is going to work in the exact opposite manner as the tip above. Therefore, it may be the difference between defaulting on your loan and staying current on what you owe. The way it works is simple. You can lower your rate even as they are increasing. Also, do it for a longer term than the one you had prior. The lengthier reimbursement period will tack on additional payments. However, they will be lower and easier to fit into your monthly budget. There is the drawback of more interest being paid over the long-term. Yet, that may be less of a pressing matter to you than the alternative. With a mortgage, that could mean the loss of your home. Take a long hard look at your financial situation and explore your options with respect to rates. If they are on the rise you may still be able to get in on a lower rate than what you are paying now. Let us say you are considering this option. Ascertain where exactly you are saving the most money in a refinancing arrangement to lower your payments. You may find the majority of your savings could be by extending your payments over a longer period of time, which is more than the difference in rate reduction. 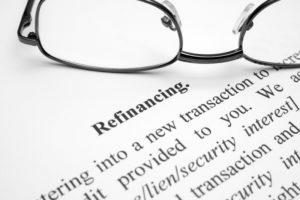 In addition, think about the money it is going to cost to do the refinancing. That is because you will be expected to pay closing costs on the new mortgage agreement. As with any type of refinancing option, do the necessary calculations to find out how long it will take to recoup your financing costs. With a mortgage, the longer you stay in your home, the more likely you are to see those costs returned to you over time. Let us say you plan to remain in your home for the foreseeable future, long enough to recoup your costs. In that case, a refinance on your mortgage may be the right move. That is because you will not be drowning in those monthly payments anymore. Maybe it is your first mortgage or you are currently in a fixed-rate arrangement. Then, an adjustable-rate mortgage (ARM) can be a very useful method for bringing down your monthly payments on a mortgage. That is especially true in the first few years of ownership. However, when those interest rates start to go up, your monthly payments will follow suit. Exploring your options on an ARM also plays a factor in deciding to get a loan with a shorter term. If you opt out of a 30-year term in favor of something shorter, you may prefer going with an adjustable rate. That will prove beneficial if you plan to sell your house in the near future. That way your rate could be potentially lower. That will also reduce your monthly payment up until you put the home on the market and it sells. Refinancing as rates start to increase is a good idea for a number of reasons. One of them is to give you the opportunity for reassessing your financial situation. This is in addition to seeking a better rate and payment based upon your current situation, not where you were years ago. The loan you are repaying at the moment has a rate, fees, and monthly payment amount that were determined on a credit score and income level that was valid years ago. Now you are older, perhaps wiser, and in a better place income-wise. Thus, you could be eligible to get better terms based on all of the usual factors for approval on a loan or mortgage. Why not see if you qualify for better terms? Should you meet the requirements for getting a lower rate it may be a good move to refinance as rates are on the rise. That new rate may still be considerably lower than the one you have now even at an increase. If you decide to take another look at your finances and explore your options for a refinancing scenario, be sure to do your homework. Compare rates and terms with a number of different lenders. Additionally, get plenty of quotes. Every lender will account for the rise in rates differently. Some will follow suit at various points in time and to varied increases that will always be competitive. The trick is finding the right lender with the best quote at just the right time. Shopping around will be a big benefit to you in that department. Homeowners who have a lot of equity in their home have the option of turning that equity into cash. This is by way of a cash-out refinance. With this arrangement, you are taking that equity and converting into liquid assets that may be applied to a range of things. The money is yours to do with as you please. The way it works is pretty straightforward. You apply for a home loan that exceeds the amount you owe on one that is currently outstanding. The difference is then given to you in cash. Let us say the value of your home is $500,000 and you currently owe $325,000. The remaining $175,000 is what you have in equity. Under a cash-out refinancing scenario, you would be able to take out a loan for part of that amount in cash. Perhaps you need to borrow $25,000. You would be given a loan for that amount. It would then be combined to the principal of a new home loan. Therefore, your loan balance would $360,000 in total. Consumers who have chosen to pursue a cash-out refinancing arrangement do so for any number of reasons. For some, it is a debt consolidation solution. It can also bring about lower interest payments. Others look to the equity in their home as an alternative to lenders or other financing entities who have denied a loan application. This is also a smart choice when financing amounts for other lending options are cost-prohibitive in comparison to the rate on this type of refinancing opportunity. Once you have received the money, it is yours to spend on anything you see fit. As a debt consolidation option, the cash from this refinancing arrangement can be used toward paying off debt with high interest attached to it. This is typically the case with excessive credit card debt that keeps accruing additional charges from the high annual percentage rate (APR). Many cards will impose this on you when there is a balance for an extended period of time. That rate can get even higher if you miss any payments or consistently pay late. Paying it all off under a cash-out refinancing loan means you are still clearing out the debt you owe on your balances. However, do it in one lump sum that clears your balance to $0. It will eliminate the continuing interest charges that would have kept adding to your balance for every month you still had any debt on your card. Going this route could also get you a break on your taxes. That is because the interest on this loan would be tax-deductible. However, unfortunately, you can’t deduct credit card interest. Some borrowers use the money to buy an investment property. Some use it to pay college tuition for themselves or their children. 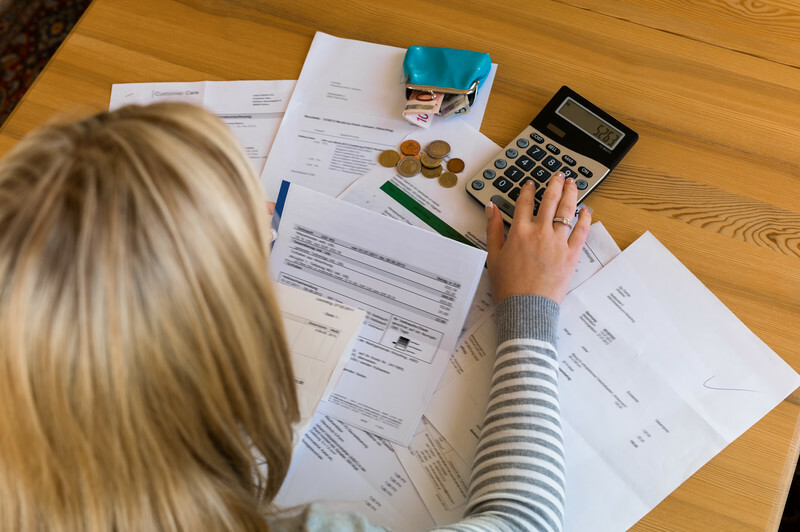 Sometimes it is the last resort for covering unexpected emergency expenses. The Fed has imposed a rate hike only twice in the past two years. They have said there could be more of them coming. Now you have been apprised of that knowledge, as well as the preceding information as to how and why you might approach raising rates when it comes to refinancing. Thus, you have some choices to make. Do you pull the trigger now after just a quarter of a percentage point? Maybe you wait and risk the Fed imposing another rate hike. This may have fluctuations along all of the many financial products that exist for consumers. The decision is yours to make. The question is when to make it. These tips should give you some more factors to consider. Therefore, you can save the most money over the long-term whether you are refinancing a car loan or refinancing your mortgage.